Jetstar and Virgin Australia have cancelled all flights to and from Bali on Monday after both carriers decided conditions were unsafe for flying due to the ash cloud from the nearby Mount Rinjani volcano. Virgin said on Monday the latest advice from its team of meteorologists, senior pilots and the Volcanic Ash Advisory Centre (VAAC) showed conditions in the vicinity of Bali/Denpasar Airport were tipped to remain unfavourable for flying on Monday. “Mt Rinjani continues to erupt and the ash cloud is not showing signs of retracting away from Denpasar Airport for at least the next day or so,” Virgin said in a statement. “Therefore Virgin Australia has cancelled all services to and from Bali today, and all services departing Australia for Bali tomorrow. Authorities closed Bali Airport to all traffic at 2145 local time Sunday (0145 AEST Monday), before reopening the facility at 0645 (1045 AEST) Monday. The airport had been open most of the weekend, with some airlines able to operate services to the popular Indonesian tourist destination. Virgin managed to operate one flight, VA60 from Bali to Perth, on Sunday afternoon before the airport was closed. Also Jetstar was able to have two flights depart Bali for Australia on Sunday, while two aircraft bound for Bali had to be diverted after forecast conditions deteriorated enroute to Indonesia. Jetstar said it cancelled all flights to and from Bali after the assessment from its pilots and operational team, and the forecast from the VAAC, determined that flying conditions around Bail remained unsafe. “As we’ve seen during this week, the Mount Rinjani ash cloud’s movement is highly unpredictable,” Jetstar said. “We’ll continue to closely monitor the situation with the Volcanic Ash Advisory Centre and further cancellations may occur if conditions prevent safe operations. In response to the ash cloud, both Virgin Australia and Jetstar are allowing passengers booked to travel to Bali the option of changing their travel destination for free – with no change fee or fare difference to pay. Jetstar is offering this option to passengers to change their flights to Fiji, Thailand, Hawaii, selected destinations in New Zealand or across the low-cost carrier’s Australian domestic network. Meanwhile, Virgin said passengers could change their travel plans to one of 12 destinations – Port Vila, Nadi, Apia, Phuket, Cairns, Darwin, Hamilton Island, Broome, Whitsunday Coast, Gold Coast, Brisbane and Sunshine Coast. More details are available on the Virgin and Jetstar websites. Trying to send 80 yr old motherinlaw home to Perth from Bali hardest thing is lack of communication air Asia switchboard no answer 3 hrs on hold web site behind time live chat crashed. Airport counter 2 staff 100s customers 2 hr in line Flight was 4 nov first available 9 nov now delayed again still no communication frustrating. Thanks for opportunity to vent. Jetstar tryed for 1 hour on hold finally got through only to be cut off then again for another hour ,lack of communication we only want to know what position we are on the priority list if we are 2999 we will try to get off Bali and take a flight from Java. But knowone can tell us? Same her Barry ,but when I went in and looked on there booking site they had fares available for Saturday and Sunday at over inflated prices !!! Get your passengers home first I say !! Having the same problem Barry. We will not be flying AirAsia again. I have just received email about flight, delayed till 15.05 ,just hope it goes !! The Jetstar call centre hung up on me for the fourth time today, and all I want to know is when my sister can return – she has been sick for the past week and she needs to return to Australia asap. For the past three days it’s taken me over an hour to speak to someone, and then I get put on hold, and they hang up. Today I asked to speak to a manager and they hung up on me AGAIN. First I thought it was an accident – after four times I am distraught. Stuck in Bali for a week now, two cancelled flights and now all Jetstar can say is wait for txt re recovery flights. Lack of communication the biggest gripe, they are happy to offer passengers in Oz new flights to new destinations at no charge but are doing nothing for all stranded passengers in Bali safety is one thing but every other carrier is flying bar Jetstar & Virgin sounds like it’s more $’s than safety, shame on you Jetstar will not fly with you again. Communicate with your stranded passengers! Arturo hope your sister is ok ! Be careful the airlines may not let her on if she is really sick ,,! I think Jetstar have been wonderful with their updates. I am concerned that other airlines are taking such a lax approach to flying. I am glad Australian airline companies are so conservative as I would not want to be up there if something goes wrong. Well done Jetstar & Virgin. I happy to stay as long as it takes. Tried to leave Bali on Wednesday last week and had several flights cancelled before deciding to take a bus to Surabaya airport on Java on Friday afternoon. There is a bus that leaves for Surabaya from Ulung bus terminal in Denpasar, usually leaving in the evening. Your hotel or travel agent should be able to help you organise a ticket. The journey takes anywhere from 11-16 hours depending on traffic and the line up for the ferry from Bali to East Java, so this bear this in mind. You may be able to organise private transport and split the cost between other travellers. There are flights from Terminal 2 to Jakarta, Kuala Lumpur, and Singapore to name a few. From those destinations you can then catch a flight back to Australia. Worthwhile booking a ticket for the flight before you go. 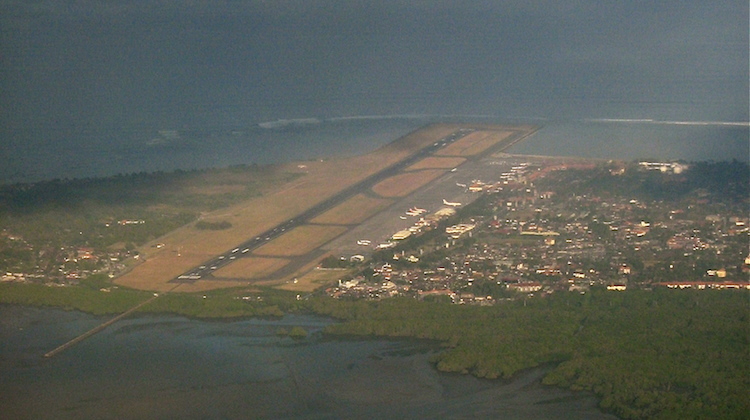 Terminal 1 has flights to Jakarta with local carriers. I know this may not be a solution for everyone, but I thought I’d share my experience. P.s. Leaving Bali on Friday 3.30pm we arrived at about 7.00am or so the next day at the airport.